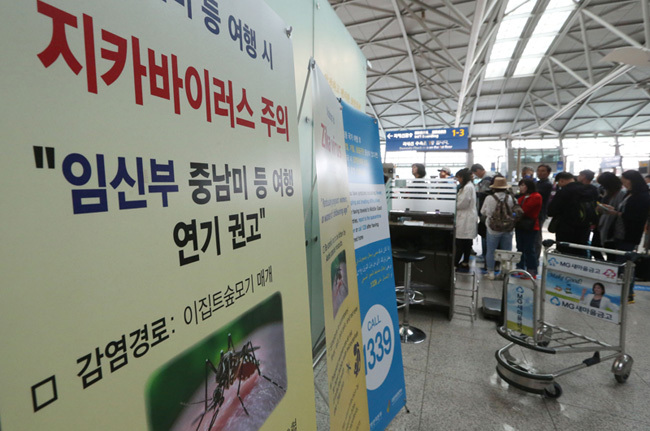 The number of Koreans visiting the Philippines might significantly decrease following a second confirmed Zika case in a man who is believed to have been infected there. According to the Korea Centers for Disease Control and Prevention (KCDC), Wednesday, the man, 20, who tested positive for the virus, visited Boracay, a small resort island in the Philippines, and Kalibo, between April 10 and 14. He said he was bitten by a mosquito there on April 13. Boracay is one of the most frequently visited tourist destinations for Koreans, especially newlyweds, with more than 100,000 traveling there annually. So far, worries about the mosquito-borne virus have remained minimal here, because the outbreak is mainly concentrated in Central and South America. 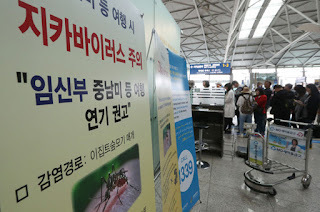 Korea's first confirmed patient last month was infected with the virus after travelling to Brazil, a country which is not a popular tourist destination for Koreans. But the situation is different for the Philippines. Expectant mothers and soon-to-be-married couples are discussing in Internet communities about whether to cancel trips to the Philippines, because the virus is linked with birth defects. "I decided to cancel my plans to travel to the Philippines. I am pregnant so my baby's heath is most important," a woman posted on one such site. "Traveling is always fun and romantic, but I would never risk my baby's health for anything," another woman wrote. According to Hana Tour, the nation's largest travel agency, the company is bracing for a possible spike in cancellations in the upcoming summer holiday season. "Although there has been no significant number of cancellations yet, we are preparing for a possible decrease of travelers to the Philippines this summer," an official from the agency said. "If the KCDC issues a travel advisory for virus-affected regions, then we would consider exempting cancellation fees for pregnant women," he added. Meanwhile, the second patient, who had been hospitalized at the Seoul National University Hospital, was released Thursday, according to the KCDC. "The man is healthy, and all his symptoms including rash and fever have subsided. We decided to release him as he is not likely to infect others," an official said. The KCDC is running a test on the man's older brother, who accompanied him during the trip. The brother said he was not bitten by a mosquito, nor is he showing symptoms. The mosquito-borne virus is almost never life threatening but poses serious health concerns for pregnant women, because it is linked with microcephaly, a birth defect in which babies are born with abnormally small heads and underdeveloped brains. The KCDC recommends pregnant women delay their travel to 45 countries on its watch list, mostly in countries in Central and South America, and Oceania.